When John Kerry persuaded Hamid Karzai to agree to a run-off election, the New York Times correctly described this victory as "little more than a catastrophe averted." So how do you describe the situation as it exists now, with the run-off called off due to Abdullah Abdullah's withdrawal? I'd say it's a pretty big victory for Karzai, and not just because he's won himself another term. By agreeing to the run-off (and satisfying the U.S.) but then refusing to take the steps necessary to make that run-off fair (and thus failing to satisfy Abdullah), Karzai bought himself some precious time. Remember, until Karzai gave in to Kerry's cajoling, he was on the verge of losing international support, most crucially from the United States. Now, his "victory" is being welcomed by the Obama administration--with David Axelrod going so far as to say that Abdullah "was likely to be defeated anyway." So what's next? 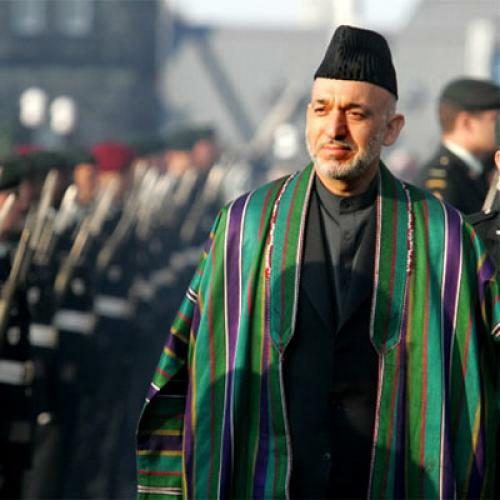 Obama administration officials are saying they'll judge Karzai on his appointments and whether he finally cracks down on drugs and corruption. But, of course, it's going to take at least several months before they can make any judgments about those things. And, by that time, it's a good bet that Obama will have already decided to send least some of the additional American troops Karzai so desperately needs and wants. And who knows? Karzai was pretty good at getting out of this jam. If Obama isn't satisfied with Karzai's performance several months from now, Karzai may well be able to get out of that jam, as well.